In September 2014, a violent land conflict took place in Goderé wereda, Gambella regional state. This lecture aims at shedding light on some of the elements that triggered the conflict. The latter appears as the result of both long-term land transaction processes and recent political events. Over the last sixty years, Majangir people living in the area have little by little sold large amounts of land to immigrants attracted there by profitable coffee culture. Many parcels were sold, and different types of rent agreements and sharecropping arrangements were also passed between the Majangir and newcomers. Although it led, over the long period, to a substantial reconfiguring of tenure distribution in the region, Majangir people did not necessarily see it as a dispossession, and coexistence remained peaceful. However, the last two years have seen renewed land-linked political tensions in Goderé, which are not only due to the diminishing availability of land, but also to the implementation of land registration and cadastre surveying in the area. After the conflict, though, land registration is still seen as a means to stop violence, for it should help to clearly identify rights and tenures. But it also triggers out new risks to foster tensions. Mehdi Labzaé is a PhD student at Université Paris 1 Panthéon Sorbonne (CESSP) and a regular collaborator of CFEE. 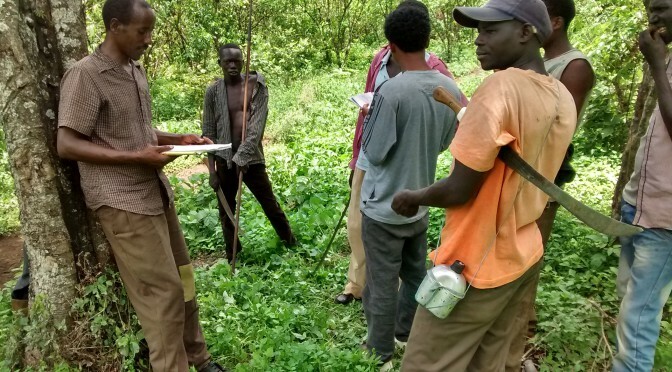 He conducts research in sociology of land registration in Western Ethiopia.